This homemade costume for pets entered our 2013 Halloween Costume Contest. 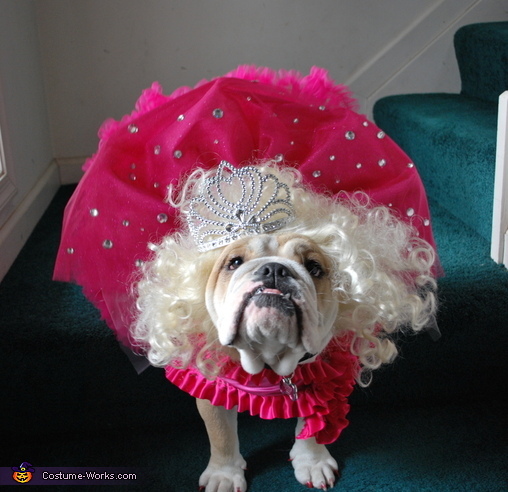 Coco our English Bulldog is Honey Boo Boo going for the Ultimate Grand Supreme title. The dress was homemade and was bedazzled with dog paws on the back. More jewels were added to the skirt. Under the skirt is a full tutu for the ultimate show dress look.